But something was missing, Isaac thought — Mr. Mayor’s chair. This entry was posted in Uncategorized on June 22, 2016 by Todd Neva. Heaven really is better. We grieve that Todd will miss out on Sara’s and Isaac’s graduations, weddings, and our grandchildren. It doesn’t seem fair for the kids to grow up without their dad. But then I think, ‘Some people live through those events without joy. What good is that?’ We are living with joy today, in the midst of sorrow. We’re still living with joy today, and the bonus is that I got to see Isaac’s graduation. 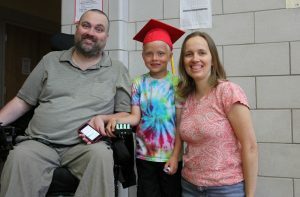 Sure, it was his kindergarten graduation—they didn’t let me graduate until I was eighteen—but it was still pretty cool considering it was two days shy of six years since the diagnosis. And our kids are growing up with their dad. Yesterday I was less than masterful at fathering Sara, evoking tears as I made her give up an electronic device. Then I thought, I’m like a normal father with a ten-year-old girl who is mad at him. I’m normal in many other ways, except I stay home a lot—almost all the time. But I’m here when they come home from school. I ask about their day. It’s important to me that they see I’m not idle. If you ask Isaac what I do, he’ll say, “He preaches.” Sure, only once a quarter or so, but he sees me prep for weeks ahead of time. I fill my day with other projects, too, using a head mouse and voice dictation software to access the computer. I don’t get the best nights of sleep, now that I’m unable to turn in bed. I sleep in late, I take naps, and I need personal care throughout the day. 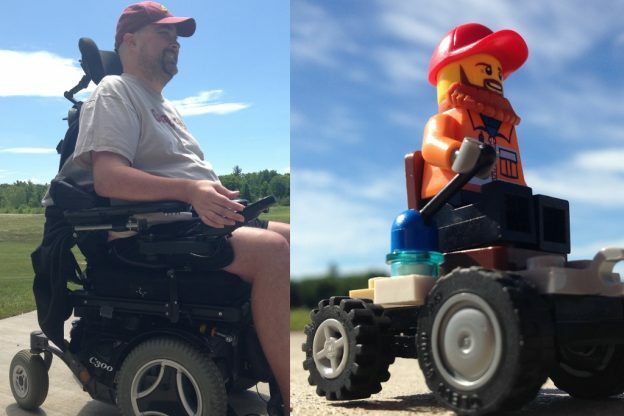 I am still severely disabled, but I try to stay active. Maybe that’s why today is never as bad as I imagined it would be. I keep thinking, “If it would only stop, I can deal with this.” It doesn’t stop, yet I adapt. Heaven may be better, but today is still pretty good. 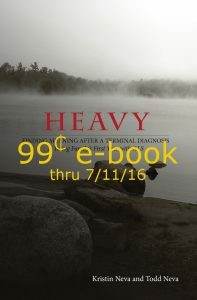 To commemorate six years of life with a terminal disease, we’ve lowered the price of Heavy e-book to 99 cents for the next month. This entry was posted in Uncategorized on June 10, 2016 by Todd Neva.